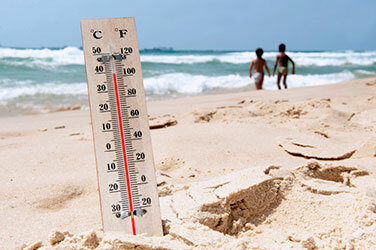 Picking up where Preventing Heat Injuries in the Summer: Tips for Outdoor Workers (Pt. 1) left off, below we will take a closer look at some of the best treatments for heat exhaustion and heat stroke when outdoor workers start to display the signs of these serious heat-related injuries. Removing excess clothing and/or changing into clothing that is nonbinding, lightweight and breathable. If, after taking the above-described measures, a person afflicted with heat exhaustion has not recovered within about an hour, it’s time to seek medical attention. At this point, IV fluids may be administered to the individual to try to rehydrate him. Administering muscle relaxants (like benzodiazepine) to try to quell body shivers and, as a result, make other treatments more effective at reducing the body temperature. Be sure to look for the conclusion to this blog for a discussion on what outdoor workers can do to prevent heat exhausting and heat stroke. If you have sustained a serious heat-related injury on the job or have suffered any workplace injury, Denver Workers’ Compensation Attorney Jennifer Bisset wants you to know that she is here to aggressively represent your rights and help you obtain the benefits you need and deserve. All of the experienced legal professionals at the Bisset Law Firm are dedicated to providing each of our clients with the highest quality legal representation, keeping each of our clients informed at every stage of their cases and, ultimately, helping them obtain the best possible results for their cases.